Is the brainchild of Michael Lemetti, a 3rd generation Scots/Italian, who lives with his wife and two sons in Falkirk, a short drive from Scotland’s capital city of Edinburgh in Central Scotland. His family originated from the province of Lucca in northwest Tuscany in the late 19th century and have always been mainly involved in the retail and catering business. 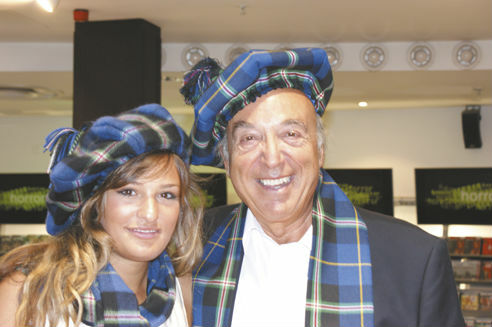 Along with his son Gianni, he researched the concept of an Italian Tartan - resulting in the first approved ethnic tartan in Scotland - The Italian National Tartan. 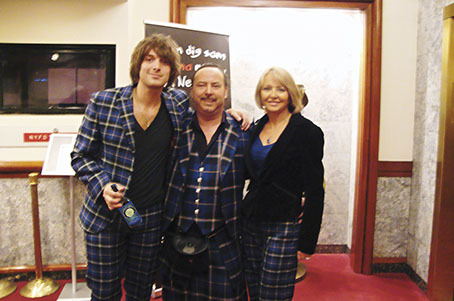 The tartan was subsequently registered in 2004 with the Scottish Tartan Authorities and also received the approval of the Italian Government. 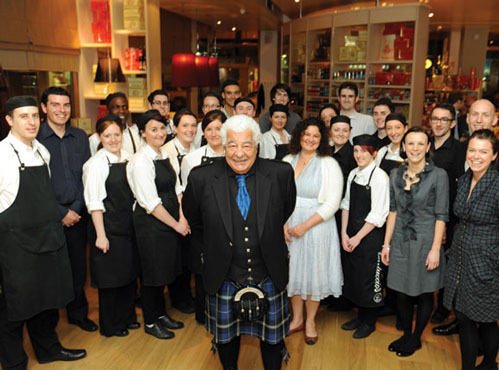 In February 2005, for the first time in the United Kingdom, the Italian Rugby Team had 15 mascots - all wearing Michael’s tartan kilts! 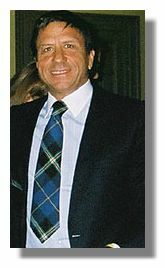 The Italian National Tartan has been worn by numerous dignitaries and celebrities such as Paolo Nutini, Sir Rocco Forte, Nicola Benedetti, Rino Gattuso, Alex Salmond (Scotland’s First Minister), Miss Scotland and Ex-President of Italy, Chiampi (to name but a few) who have all voiced their approval of it. Michael has also come up with an exclusive tartan for AC Milan F.C. 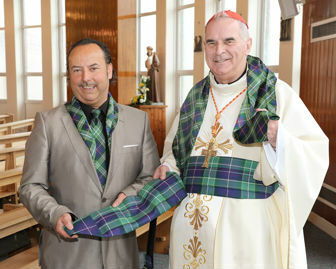 and was also instrumental in making the St. Ninian’s Day tartan scarves and ties for Pope Benedict XVI’s recent visit to Scotland and was awarded with a special medal from the Pope. Clan Italia is currently designing and producing new products and finding different ways of using the Italian National National Tartan in the Media and at events all over the world. Three versions of the tartan in Silk, Cashmere and wool have already been creating a stir with the fashion sector.